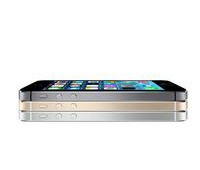 Apple iPhone 5 set a precedent, with an amazing amount of technology in a remarkably thin, light design. iPhone 5s builds on that achievement with Touch ID ? a ï¬�ngerprint identity sensor. An A7 chip with 64-bit architecture. An even more impressive iSight camera. And ultrafast LTE wireless. Unrealized untill now. In dispensable from now on. A chip with 64-bit architecture. A fingerprint identity sensor. A better, faster camera. And an operating system built specifically for 64-bit. Any one of these features in a smartphone would make it ahead of its time. All of these features in a smartphone make it an iPhone that?s definitelyï¿½ahead of its time. The gold standard. Also available in silver and grey. 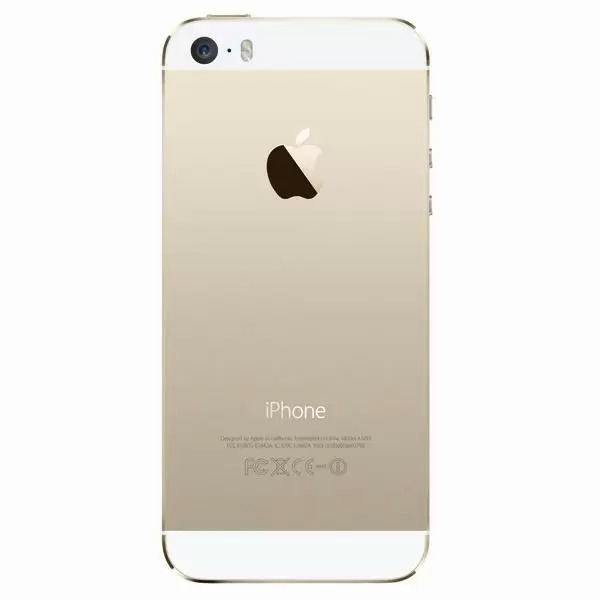 iPhoneï¿½5s is precision crafted down to the micron. And it?s evident throughout. The beautiful aluminum housing. The sleekness of metal and glass. Sapphire crystal in the Home button. And more sapphire crystal protecting the iSight camera. Design and construction of this level is unmatched. 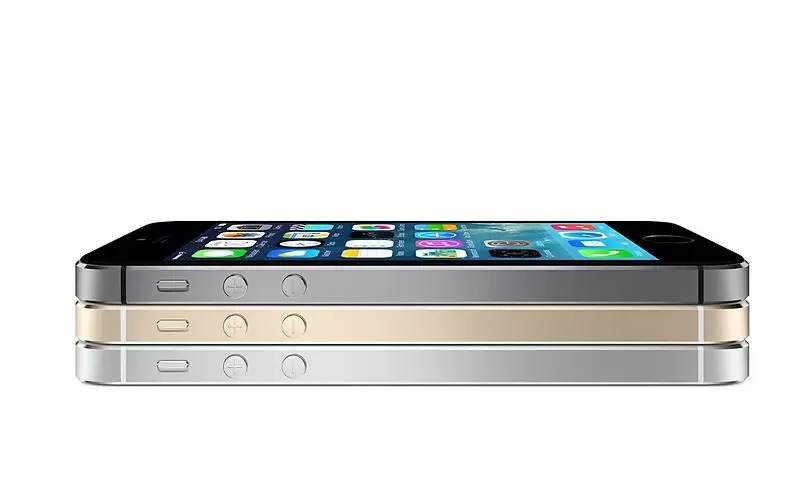 As a result, iPhoneï¿½5s looks and feels unbelievably thin and light. And it?s available in three elegant expressions: gold, silver, and spaceï¿½gray. The first 64-bits smartphone in the world. There?s fast. And then there?s A7 fast. The new A7 chip gives you CPU and graphics performance up to 2x faster than the A6 chip. 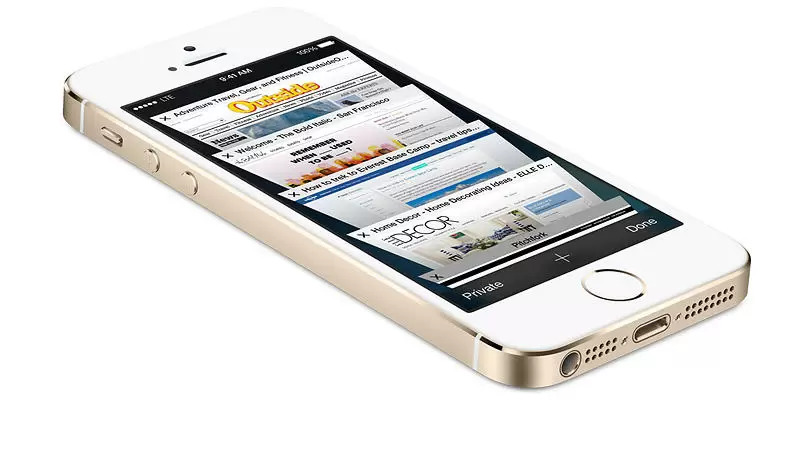 Even more impressive, A7 makes iPhoneï¿½5s the first 64-bit smartphone in the world ? that?s desktop-class architecture in a superslim phone. And because iOSï¿½7 was built specifically for 64-bit, it?s uniquely designed to take advantage of the A7 chip. Touch ID. Your fingerprint. Your iPhone. You check your iPhone dozens and dozens of times a day, probably more. Entering a passcode each time just slows you down. But you do it because making sure no one else has access to your iPhone is important. 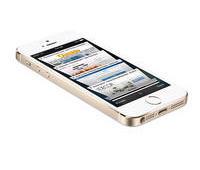 With iPhoneï¿½5s, getting into your phone is faster, easier, and even a little futuristic. Introducing Touch ID ? a new fingerprint identity sensor. An entirely new processor. For an entirely new level of efficency. The new M7 coprocessor is like a sidekick to the A7 chip. It?s designed specifically to measure motion data from the accelerometer, gyroscope, and compass ? a task that would normally fall to the A7 chip. But M7 is much more efficient at it. Now fitness apps that track physical activity can access that data from the M7 coprocessor without constantly engaging the A7 chip. So they require less battery power. It's the world most popular gets even better. Facetime HD camera. Show or just tell. More LTE coverage than ever before. Design to compement iPhone 5S beautifully. 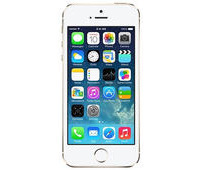 iOSï¿½7 was designed with iPhoneï¿½5s in mind. 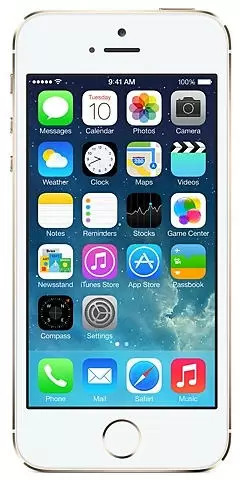 Everything about it takes advantage of the advanced technologies built into iPhoneï¿½5sï¿½? like the 64-bit A7 chip, the Touch ID fingerprint identity sensor, and the new, even more remarkable iSight camera. In addition, iOSï¿½7 introduces great new features, such as smarter multitasking, AirDrop, and Control Center, that make the things you do every day even easier, faster, and more enjoyable. No matter what you?re doing or which app you?re using, finding your way around is extremely intuitive. So from day one, you know how to use the most advanced mobile OS on the most advanced iPhone yet. There's almost no limit to what iPhone can do. The Appï¿½Store is where you?ll find the best selection of mobile apps anywhere. There are over 900,000 of them.5ï¿½And because each one is made specifically for iPhone, you also get the best app experience possible. Browse and buy apps for everything from productivity to games, education to entertainment, social networking to finance, and so much more. All from one trusted source ? and all in one place. So they?re easy to access, easy to search, and easy to make yours. Everything you need. Anywhere you need it. A beautifully crafted phone deserves a beautiffully crafted case. 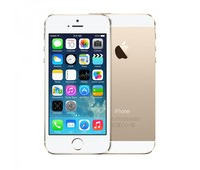 iPhoneï¿½5sï¿½has a stunning exterior. So any case that dares to conceal it should be equally appealing. The new iPhoneï¿½5s Case more than meets the requirement. Made from premium, hand-selected leather, each one looks and feels luxurious. And because it?s precision crafted for iPhoneï¿½5s, your phone still feels incredibly slim even with the case on. 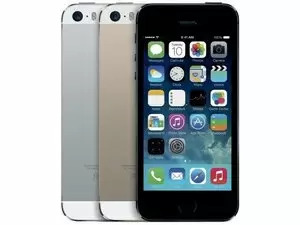 Disclaimer : Apple iPhone 5S price in Pakistan is updated on daily basis and rate/price for Apple iPhone 5S is valid for all cities of Pakistan included Islamabad, Rawalpindi, Lahore, Karachi, Faisalabad, Peshawar, Sialkot, Quetta etc. 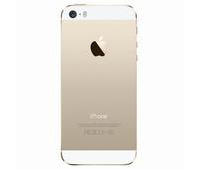 Apple iPhone 5S price depends on many factors thats include the price of dollors, manufacturar price and import cost and duties etc. Our team entered specs from diffrent resources and not responsible for any typo error in specs for Apple iPhone 5S, please report any such error in bug report panel for Apple iPhone 5S. 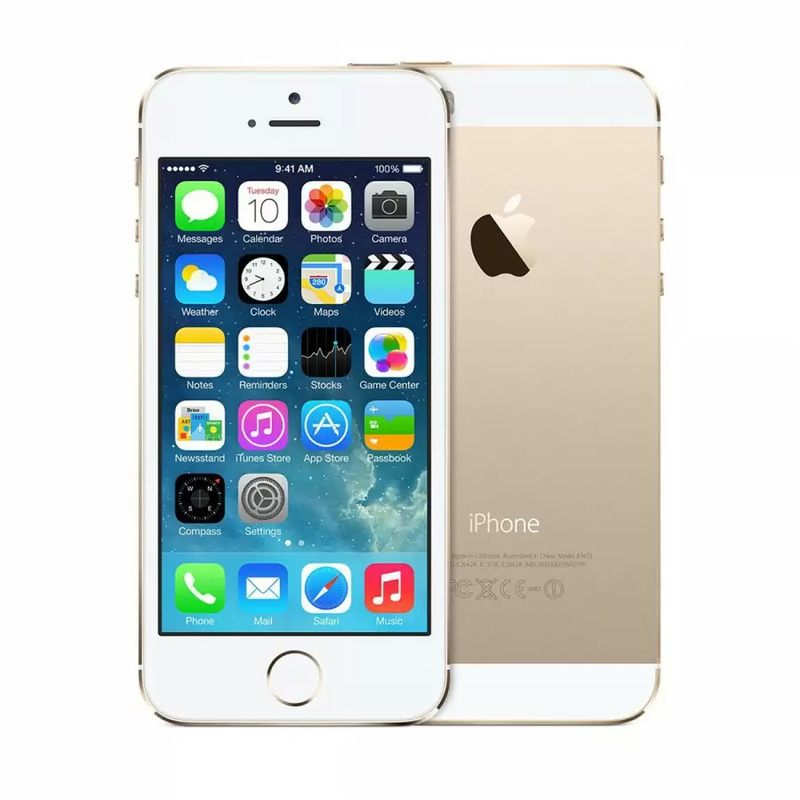 Apple iPhone 5S price in Pakistan.